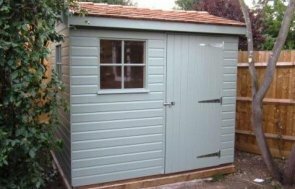 The building measures 1.8 x 3.0m and has an apex roof covered with our heavy-duty, heat-bonded felt for optimum weatherproofing and durability. Black guttering has also been added along the fascia boards, which further adds to the weatherproofing of the building. The exterior design features smooth shiplap cladding painted in the exterior shades of Taupe on the walls and cream on the Georgian styled window frames. 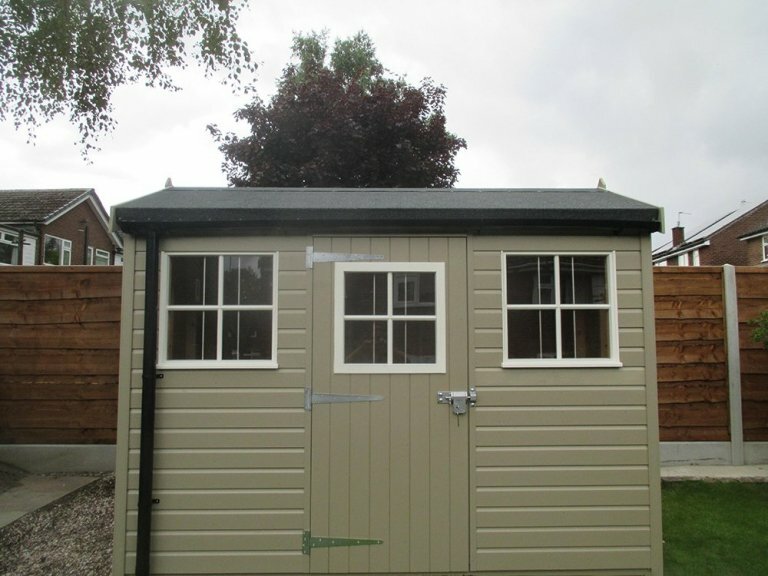 The customer has also opted to add our security pack option for extra peace of mind, which consists of a heavy-duty sliding bolt with a fully-encased seven lever lock, stainless-steel window bars manufactured into the frames and ‘un-screw-able’ screws in the hinges. 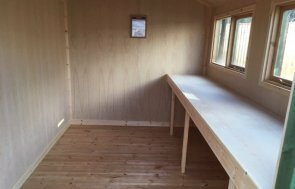 Internally, the shed has a sturdy workbench installed as a stable surface to either work on or store things. 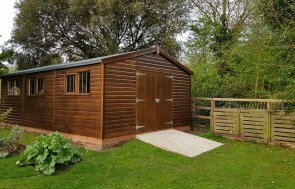 Our superior sheds also offer a range of other optional extras, such as insulation, oak-faced ply lining, additional windows, electrics and alternative roofing types. In order to take a closer look at our range of stunning buildings, we recommend that you do so by paying us a visit at one of our national show centres. You can locate your nearest here, or instead get in touch with us on 01760 444229.